Servant Evangelism is a simple approach of doing random acts of kindness to show God's love in a practical way, with no strings attached. 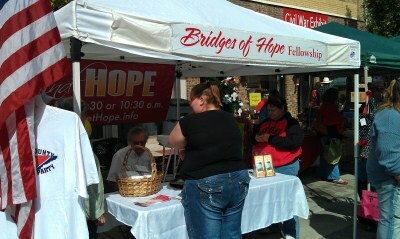 This is an entry level outreach ministry that anybody can do. The great part of this is: it's fun! We believe that we are God's hands and feet in our communtiy and therefore believe this is exactly what Christ would be about doing if He was here today. Our Servant Evangelism involves both individual and team projects, as well as outreach events. Each month, our people go out into the community to serve with joy. Our serving includes all types of projects from returning buggies in a shopping center to cleaning the toilets of businesses. All serving is done FREE of CHARGE, no donations accepted. Join us for our next ServeFest!